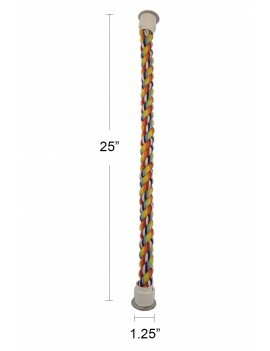 The large cotton rope perch is a soft substitute for the wood perch. The wire in the rope makes it easy to bent, and the washer on the ends let the rope attach on the cage more securely. It is good for medium bird and parrot such as African grey, amazon, cockatoo, macaw, etc. 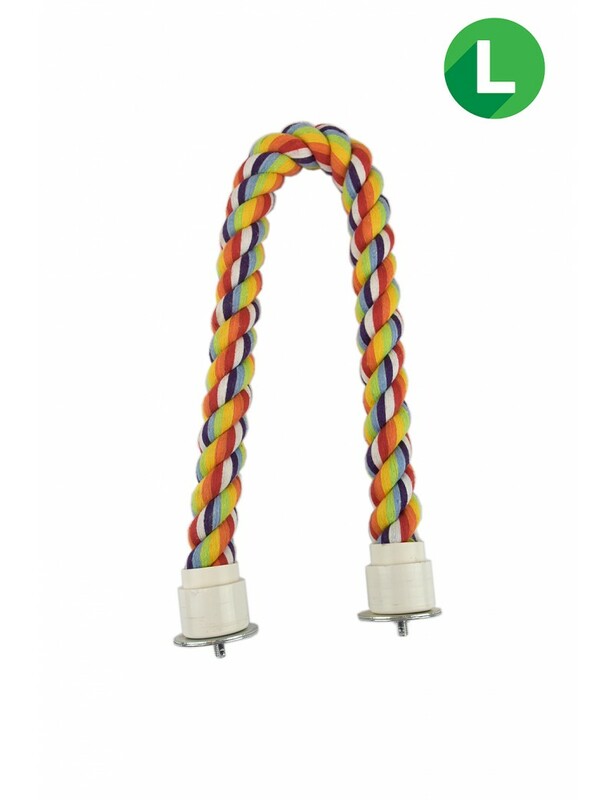 - Made from high quality, non-toxic materials, the rope perch is safe for your birds. - The small size bird rope perch is suitable for small size birds, such as African grey, amazon, cockatoo, macaw, etc.